My relationship with the subjects I choose is VITAL: the attempts of free will, the gap between life and death, the reversal of perceptive linearity whenever death confronts us, the disruption of emotional parameters, the confusion of the language of pain rather than pain itself – if your child approves of a suicide, if a doctor tells you that you can choose whether to save your mother’s or your father’s life, if a group of crazy people offers you the chance to see your father alive again but only for an hour. It is my life, my temptation to blur boundaries, my way of living the continuous relationship with death. For me writing is like opening a window on all this, almost casually. Filippo Gili graduated as an actor at the “Silvio d’Amico”Accademy in Rome. He starred in several staged by Luca Ronconi. He directed the feature films Doll’s House, Before leaving, The last ray of light. 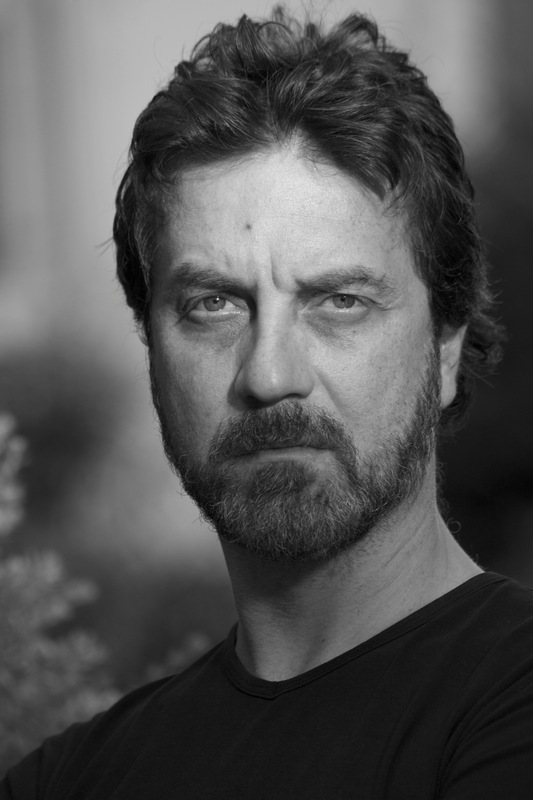 He’s completing the editing of The Seagull, Chehov, recently staged at the theater, with Closed doors, by Sartre, Ghosts, by Ibsen, Oreste by Euripides/Bellocchio written with Marco Bellocchio, Cechov’s Three Sisters’ Chekhov, and Hamlet with Daniele Pecci. At the Turin Film Festival, in November 2013, it released a remake of his Before leaving, directed by Michele Placido. On January 2016 will be staged, directed by Francesco Frangipane, his Midnight Trilogy, and, under his direction, and always made with ‘Uffici Teatrali’ Company of which he is co-founder, Antigone of Sophocles and Uncle Vanya by Chehov. Is it right to treat oneself to resurrection if it can only last one hour? Is it right for the one who comes back to life? Or for the fragile souls of those who love him? They will have to tie together the two eternally recurring themes of life: the joy of resurrection and the sorrow at death. Dinner, a happy family dinner. Then five blades, five cuts that will change a father, a mother and two sisters’ lives forever as they witness the madness, the courage and the freedom of a son. An event that will turn their world upside down. Endless abysses, fights, outbursts of love and anger, resistance and intuition, complaints and acceptance will close the circle of a night full of life, surreal and meaningful. On this night a group of men and women will pronounce new words and new silences will follow. They will make a step forward – although painful – along the road of experience and knowledge, towards the “meaning of life”. This work investigates an excruciating dilemma: is it right to interfere in other people’s destiny, to act in the place of fate? Fourteen scenes composing a tragedy. An ordinary family life upset by sickness, two sons carrying the burden of a choice, two doctors witnesses to the tragedy. The conflict is between science and “free will” – but the word “free” fatally clashes with “good sense” and “humanist logic”, two concepts that actually do not seem consistent with the recognition of freedom.